Be safe and enjoy a beautiful 4th of July!! 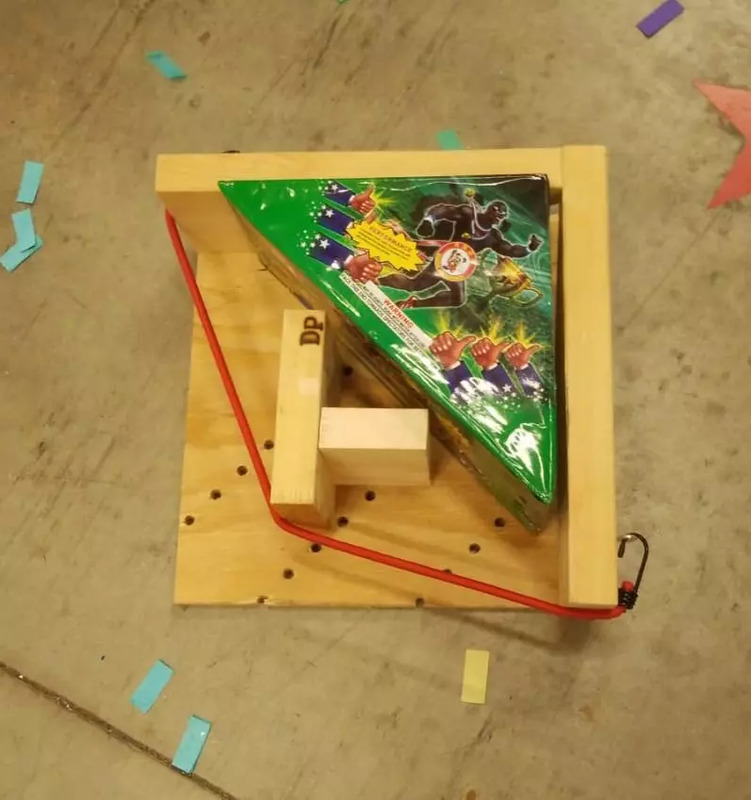 This patent pending device will accommodate, and brace, all shapes and sizes of Class C Consumer fireworks. 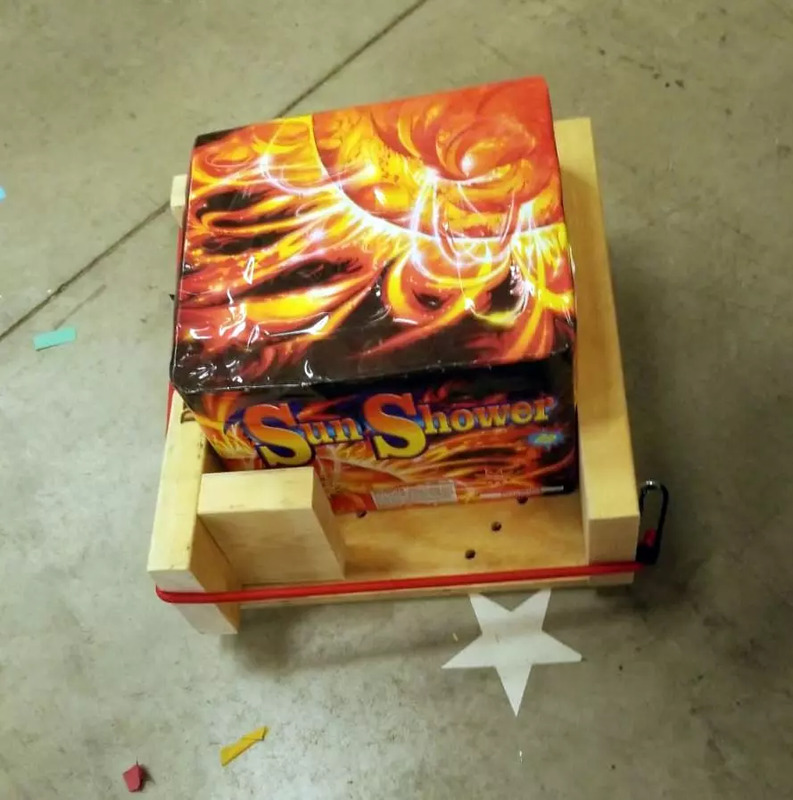 It gives a stable and strong hold to all of the fireworks to GREATLY reduce, or completely eliminate, the occurrence of tipping when you are not on a completely flat surface while shooting. It has a cut out for lower fuse lighting, side fuse accessibility, and top fuse access. 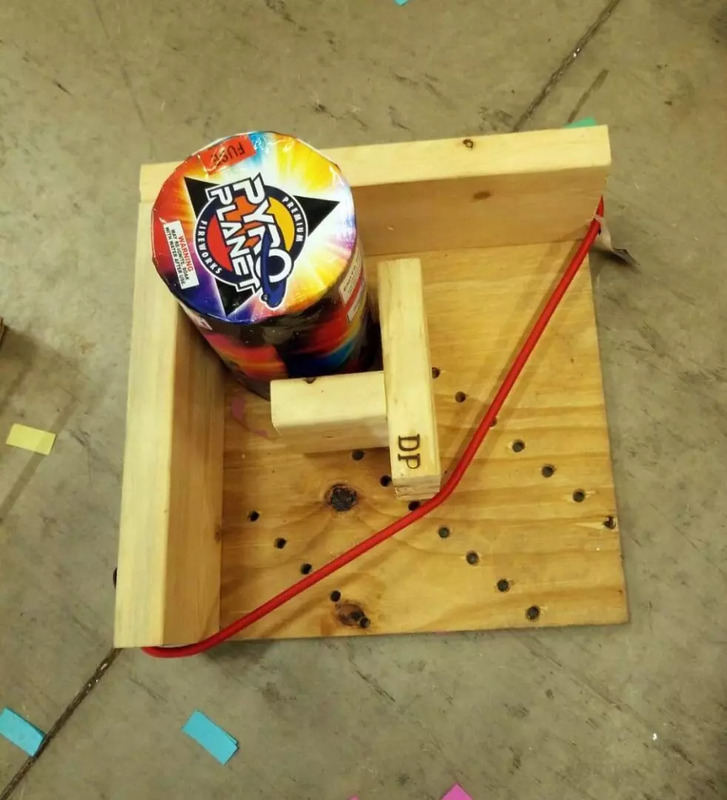 Everything was thought of for ease of use and stability of all shaped fireworks! !